crazyyblessed | Someone who wants to make an impact. Big or small. Someone who wants to make an impact. Big or small. 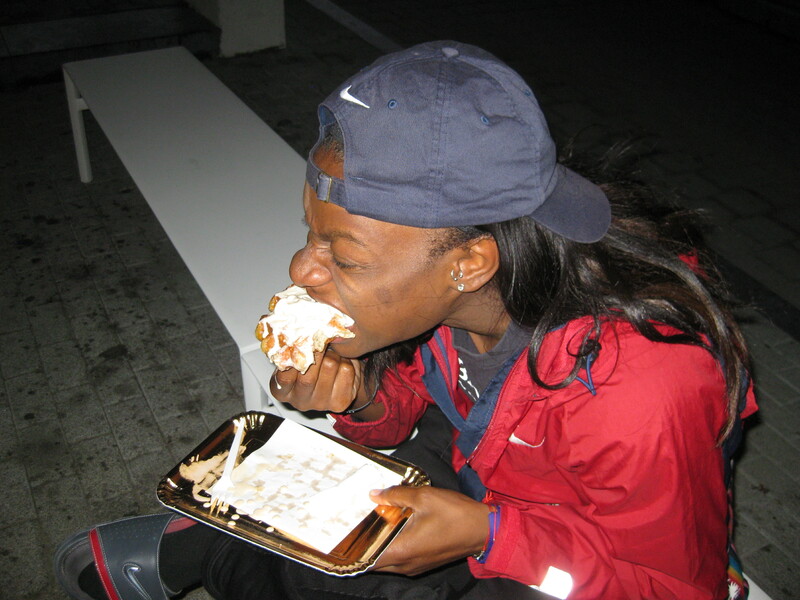 Day 16, 17, 18 – Ghent, South African BBQ and Chocolate! Even though we misread the schedule for Ghent and showed up too late for Andrew and I to run the 100 meter. We only had 20 minutes to warm up for the 200 meter. My 200 race went better than I thought it would. The one thing that was very difficult for me was the language barrier because everyone here in Belgium can speak multiple languages. So, running has been a chore. For example, at the start of my 200 race, the starter spoke in what I think was Dutch but it sounded French. 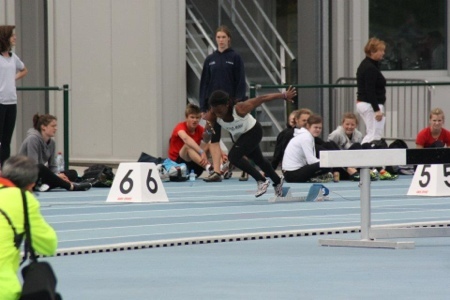 EITHER WAY I UNDERSTOOD NOTHING, which resulted in me running in the bottom half of my warmup and coming out of the blocks dead last ! I was so confused. The last two meets were easier than this one to say the least. I am use to 3 commands (On your mark, set, BAM!). The starter gave 4 commands! I don’t know what was going on! I finished the race 4th missing the podium but one spot but I am just happy I ran well, injury free, and with a positive attitude! Competing during the week is exhausting but Andrew made it all better by making a Braai! Which is like a South African BBQ! It was delicious ! 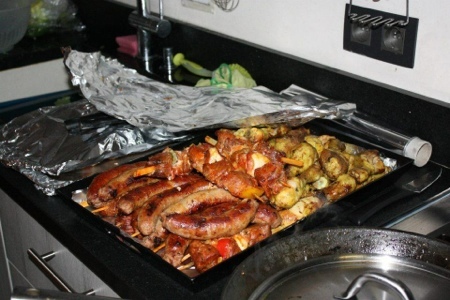 Bacon wrapped hamburgers and kebabs! So, there is a girl (my age) who works at the hostel. Her name is Chloe! She is really awesome! She and I had a conversation about religion. She was telling me that a lot of people leave the Church because it is very hypocritical. Priest molest children, the country forces you to give money to the Church out of your check no matter your religion, the services have no direction (just basically a show), no one participates except the priest. She really wants nothing to do with any of it. No God. No Jesus. No church. No nothing. The thing is she is not the only one. I have talked to many people that feel that way because of MAN has defiled the Church. I hope want to talk more with Chloe about it. Today was the last full day in Leuven, Belgium before we head to our last meet in Nirvone (possibly spelled that wrong) and then to France. It was a little bittersweet today because Leuven has become my home! But today was the day of the market so I bought as much chocolate and goodies for the family that will fit in my luggage! We also closed out our study of Ephesians. I have never read a book of the Bible so in depth before and I loved it! I learned so much in 6 chapters. Paul really cared about Ephesus. Let me add that when he wrote the letter to the church at Ephesus he was a prisoner in Rome. If I was him I would have not written ANYTHING TO ANYONE. I would have been HOT MAD that I was being jailed with NO EVIDENCE! But, Paul truly loved the things of God and the people of God. He was determined to make sure that they knew what was excepted of them! Some powerful stuff in Ephesians! Take a Look! Until then Stay Crazyy Blessed! Today was a good day. It wasn’t too short and wasn’t too long. It was just right. This trip has showed me things about myself that I didn’t know about myself. Or maybe I knew but I guess would never admit. Like I sleep way too much, I am impatient, I stare ALOT and personal space is very important to me. This is the first time that I have ever had to share a room with strangers. The way a hostel works is you pay for a bed. There could be six beds in a room so you could be sleeping in a room with five other strangers. I am thankful that my other five bunk mates are my teammates (Sakia, Jennifer, Bethany, Jodi and our special guest Jamie!). And the guys on the team were able to score a room with just them as well. But, yea in college I always had my own room. I never shared personal space because believe it or not, I love quiet time and being by myself with having anyone next to me. My bed is the far bed on the bottom. 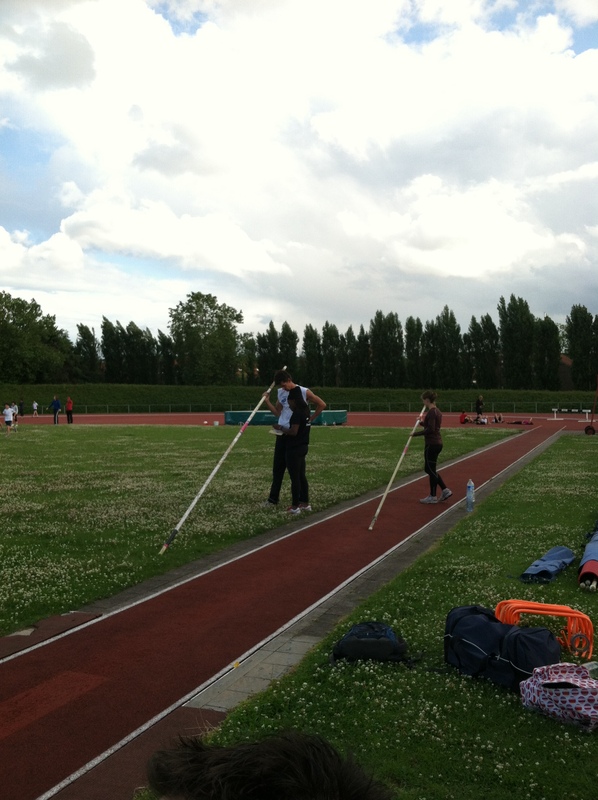 But here in Belgium, at first, I was apprehensive about it because I wasn’t sure where everyone stuff was going to go. But, everything has worked out, we have adapted well to each others mannerisms and sleeping patterns. 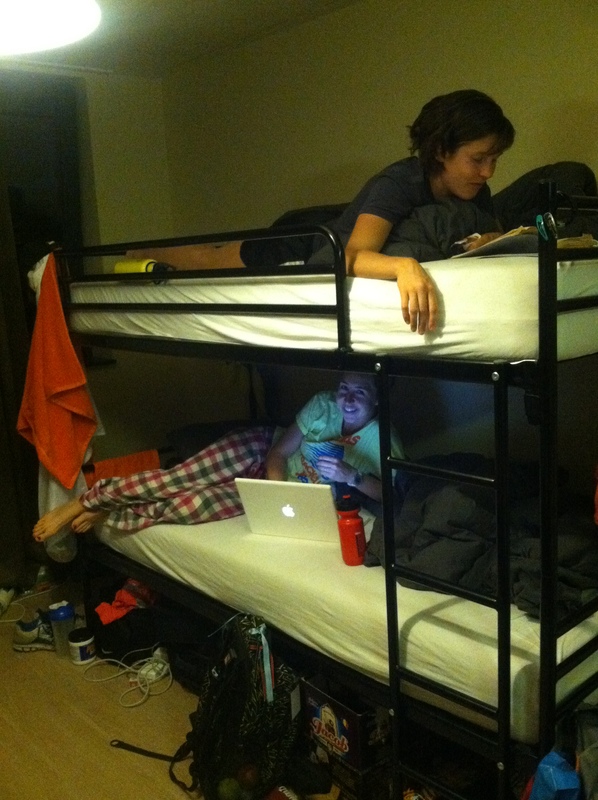 Sakia and I have a concert in the showers every afternoon and B-Dawg (Bethany and I blog at night). The team knows I like to take naps after bible study so they keep the room pretty dark for me during those hours. 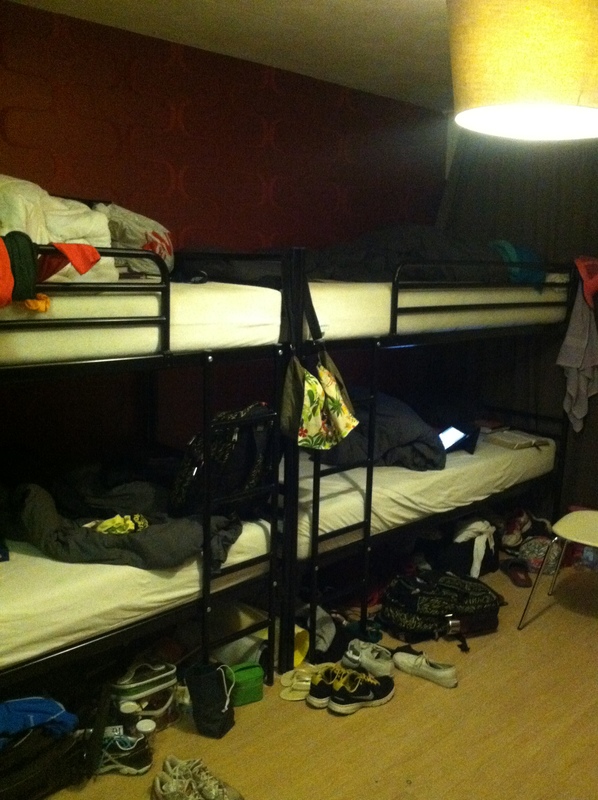 The hostel is like our home so we spent most of our time in the living room, kitchen and just around the city ! These girls and guys have a special place in my heart. They are like family. So I definitely woke up encouraged this morning, even though it was 20 degrees and raining. It was basically snowing! But, bible study really helped uplift my spirits. I led bible study today with my teammate B-Dawg (aka Bethany). We talked about having solitude in Christ and about how important it is to allow the Holy Spirit to work through you. I piloted the Holy Spirit portion because I really let myself get into a bad place this weekend. I totally ignored the Holy Spirit and tried to deal with my struggle on my own which only led to Melanie Fiona being on repeat. Totally out of character for me. I hope that as I learn from this struggle I can properly handle the next one with better care. The trip has been shifted into another gear because we are now two weeks in. My coaches are challeneging me to push myself out of my comfort zone and to fully allow God to do a MIGHTY work in my life. Jodi (trip supervisor/coach/alarm clock/big sister/accountability partner) said something to me today that has stuck. She feels that I am too hard on myself when I should rest in God alone. Knowing that He will always have my back and He will never forsake me. He has given me the ultimate “Get out of Hell free” card, so I need to stop sending myself there. Punishing myself in the most bizarre and over-the-top ways is only going to cause more harm then help. God just wants me to rest in Him! Matthew 11:28-30 ! He loves me! O, how He loves me! He wants me to enjoy Belgium Waffles with Ice Cream too! Day 12 & Day 13: Shaking in my Armor. If I would have ran through the line I would have ran at least 11.6. I am still dealing with yesterday. I feel so ashamed about how I acted yesterday. Such a brat. So often I feel as though I know best for me. When in actuality, in the eyes of God my plans are FILTH. I felt unworthy to worship in church this morning because I knew I had did a selfish thing. I threw a temper tantrum because I didn’t feel as though God had been fair to me. I just want to run well. But, the question is… Am I willing to serve God unknown and unnoticed? Only one thing can be done… I have to stop keeping my flesh on life support and just pull plug because it is keeping me from a WHOLE, UNINTERRUPTED relationship with my Father in Heaven. It’s not about me, it’s about God. It’s about Him winning through me and not me winning for myself. Pray for me! Pray that I won’t allow Satan to convince me to behave in a spoiled, ungrateful way. Pray that I remember always that I am CHILD OF THE MOST HIGH GOD! Pray that I stay on the front lines for Christ without wavering. Pray that I become a FEARLESS SOLIDER FOR CHRIST! 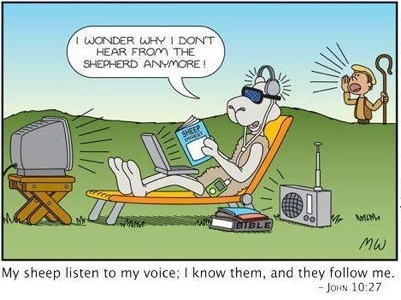 Day 11: Can you hear The Shepherd’s voice? I didn’t see Yonas today at practice but I hope to see him next week some time. This week went by way faster than I wanted. It was a great week but I am just enjoying my time here so much that I don’t want it to end. But, tonight is going to be short because tomorrow is race day. Also, I don’t blog on race days so Sunday’s blog post is going to be ACTION PACKED! I just want to leave you guys with this thought, so please leave comments. So, I spoke earlier in the week about not hearing from God. I talked about not feeling God’s Presence all the time. Well, God has been revealing Himself to me in a ‘gentle whisper’ way. He has revealed to me that I have gotten complacent with our relationship. I got comfortable in my walk and stopped pressing into Him as hard as I have been. It’s like swimming laps in a pool. If you lose focus on your stroke and breathing and begin to start looking around and spotting other swimmer’s strokes then you will slow down. Slowing down can result in falling behind in YOUR race and could possibly result in you holding onto the lane lines in distress. And then you start screaming for your coach asking him why he isn’t helping you. When all you had to do was continue to swim and trust your coach and his training! So, I say all that to say this: trust God’s coaching and just listen to His voice. Don’t allow distractions to drown out His voice ! Side note: I am excited for tomorrow morning because I get to lead Praise and Worship. Forgot to post this video from last week! Meet the Team! I love them! My heart is heavy. God has opened a door for me to really share the Gospel to a pole vaulter named Yonas who only knows of Jesus in the context of Christmas (gift giving). I am headed to bed early tonight. I will give a full rundown through video tomorrow when I am refreshed because today was very draining (in a good way).